Champions League football is upon us, well the playoff round that gives clubs access to the group stage is upon us, but to me that is Champions League, and that is good enough to get my blood going for some midweek action of the highest quality. 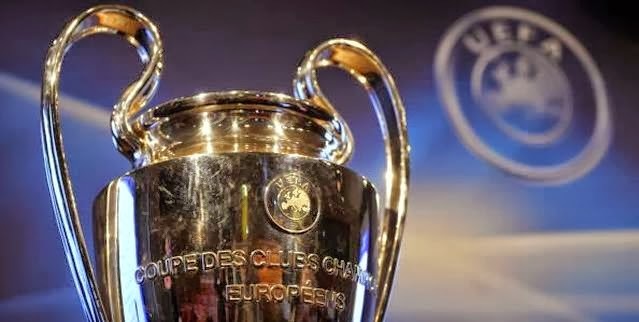 As I started to look at the matches scheduled for this week, I started to wonder about records either held by teams or individuals that have been set during the past seasons of Champions League or European Cup as it was once known. As I dove into the history books I found some incredible records that perhaps will be around at a time when our grandkids will be watching games and calling us old timers. Here are the five most incredible Champions League records that may never be broken. Real Madrid holds one of the most difficult records to surpass or even match the most consecutive final appearances. Between 1956 and 1960 they appeared in five straight finals. These were also the first five finals of the tournament, which at that point was known as European Cup. I don’t foresee in any distant or near future a team so dominant that they would be able to appear in five consecutive finals. There are many great sides, and the competition has become a very difficult one to win, never mind reach a final in five consecutive seasons. Two teams have come close to matching this record, during the modern era of Champions League. AC Milan reached three consecutive finals between 1993 and 1995 and Juventus also reached three consecutive finals between 1996 and 1998. Benfica holds the record for the biggest two leg victory by defeating Stade Dudelange 18-0 on aggregate during the preliminary round in 1965-66 campaign. The team from Luxembourg was defeated by the Lisbon giants by a score of 8-0 in the first game and 10-0 in the second game. That is another record that I am almost sure to say, will never be broken. The discrepancy between teams is not abysmal anymore, most sides match well and even the so called minnows can create problems too much larger and heavy favorite sides. Lop sided victories are a rarity in the competition, but some still do happen. In the modern era of Champions League two teams have come close to this record, Bayern Munich and Helsinki. Bayern Munich defeated Sporting CP 12-1 on aggregate during the round of 16 in 2008-09, while Helsinki defeated Bangor City 13-0 on aggregate during preliminary play in 2011-12. The record for the most goals in a match is 14. 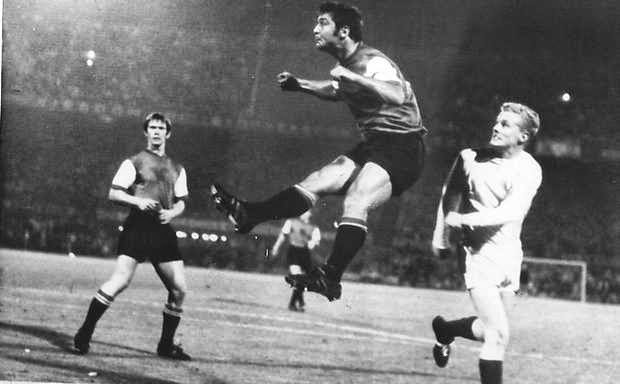 Feyenoord defeated KR Reykjavik 12-2 during the first round of play in 1969-70. This record has stood until now as the game with most goals in European Cup/Champions League matches, and if it has lasted until now, it may last for many more years to come. I just can’t picture any game in the not so distant future ending with more than 14 goals scored. It is a very difficult task to achieve by any team. There have been a couple of games have come close to this record. In 2003-04 AS Monaco defeated Deportivo 8-3 during group stage, this is a record for the competition since it has been entitled Champions League. 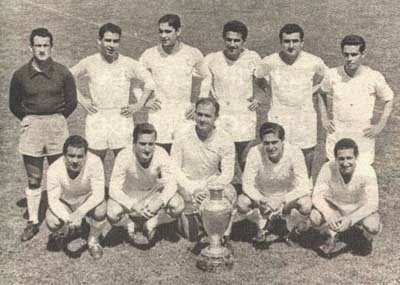 Real Madrid defeated Eintracht Frankfurt 7-3 during the 1960 final, which it is still a record for the most goals in a final since the competition was created until now. Newcastle United is the only team to have progressed passed the group stages after losing their first three matches. This happened during the 2002-03 campaign. During their last match of the group states against Feyenoord, Craig Bellamy scored in the 90+1 to secure a 3-2 win and a place in the next round. That is an incredible achievement by Newcastle United. 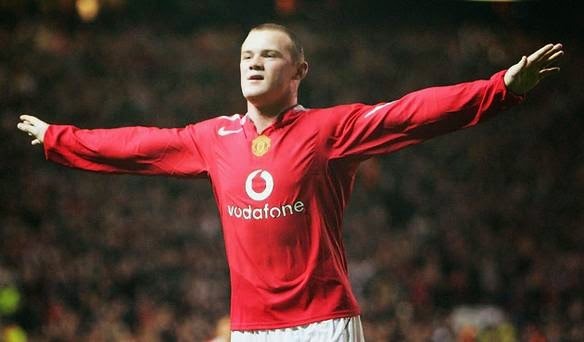 Wayne Rooney holds the record of being the youngest player to have scored a hat-trick in this competition. Wayne Rooney was 18 years and 335 days when he scored his hat-trick in a 6-2 home victory against Fenerbahçe on September 28, 2004. This game was also his Champions League debut, which makes him one of only six players to have scored a hat-trick on his debut game. He joins the likes of Marco van Basten (Milan), Asprilla (Newcastle United), Yakubu (Maccabi Haifa), Vincenzo Iaquinta (Udinese) and Grafite (Wolfsburg). This is an incredible achievement for Wayne Rooney and Manchester United.